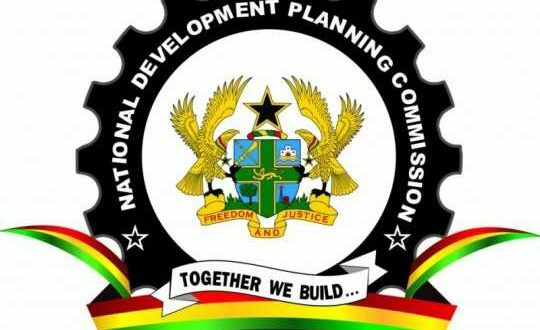 The National Development Planning Commision (NDPC) invites applications from suitable qualified ghanaians, who are dynamic, goal-oriented and result driven with exceptional leadership qualities for appointment to the under-mentioned position. • To provide technical and operational support in Labour Economics for the achievement of the mandate of the Commission. • Serve as in-house resource person on labour issues, including human development skills, knowledge of the labour market, wage determination, labour market activation and performance, decent work, and related policies during policy dialogues with relevant sector ministries, departments and agencies and formulation of national development policy frameworks. • Plan and coordinate comprehensive research, review of study programmes, identifying data and research needs within the policy division, as related to human development, skills and the labour market, wage determination, labour market activation and performance, decent work, and related policies, on a continuous basis. • Lead the preparation of policy papers/notes, statements, briefs, press articles, and periodic updates, etc., on labour issues, and present at both national and international conferences. • Conduct empirical research on labour issues highlighting the special constraints of categories like the youth, older workers, marginalised groups, tackling employer barriers to hiring and retention, and improving the employability of older workers. • Compile, analyse, and report data to explain economic phenomena and forecast labour market trends, applying mathematical models and statistical techniques and disseminate research findings through technical reports and policy briefs. • The National Development Planning Commission's remuneration package is competitive in the public sector, with very attractive fringe benefits. • Applicants must be able to serve the Commission for a minimum of four (4) years on the appointed grade before attaining the compulsory retirement age of (sixty) 60. • A master's degree from an accredited tertiary institution in Economics, Labour, Development Economics, Econometrics, or any related field. • A PhD and working knowledge in Monitoring and Evaluation (M&E) is added advantage. • A minimum of eight (8) years' post-qualification relevant working experience, of which three (3) years' experience must be in applied research and policy analysis in the area of labour economics, social policies, or employment related fields. • A record of research and publication in one or more of the following areas: human development, skills and the labour market, wage determination, labour market activation and related policies. • Very good understanding of planning, policy analysis and formulation, and performance measuring. • Monitoring and evaluation methodologies. • Very good knowledge in the conduct of research, qualitative and quantitative data analysis and interpretation capacities. • Very good conceptual modelling skills, demonstrable ability of working independently. • Ability to manage diverse and evolving workload, strong interpersonal and team spiritedness . • Excellent written and oral presentation and communication skills. • Ability to communicate complex developmental policy issues clearly. • Very good knowledge of Quantitative Analysis and Statistics. • Ability to analysing large scale data, including national labour force surveys, administrative data and other relevant industry data. • Excellent computer skills, including full working knowledge of standard word processing, spreadsheet and presentation software packages. • Proven ability to use advanced statistical and econometric techniques and software (e.g., STATA). • Ability to formulate clear policy recommendations based on solid analytical skills. • Ability to write high-quality policy papers as well as shorter targeted notes to guide the Commission. • Ability to work effectively within a team of economists, analysts and statisticians. • Ability to clearly explain economic issues and analysis.